Ever since the 1970s the discovery of the so-called Vergina Tombs by the famous Macedonian archeologist Manolis Andronikos has attracted critical attention to the history and archeology of Macedonia. Works as different as monographs, proceedings from conferences, thematic miscellanies, and studies in the honour of authoritative scholars have thus proliferated over the years, sharing the in-depth investigation of "Macedonian" matters as a common denominator. This cultural climate appropriately welcomes today the important monograph study on Philip II, father and predecessor of Alexander the Great, by Ian Worthington, who, once again, delves into an issue which refers to Greek history and historiography of the second half of the 4th century BC. As a matter of fact, Professor Worthington has accurately investigated this historical age over the last 20 years, focussing in particular on both the writings and the political-military action of the Athenian Demosthenes. 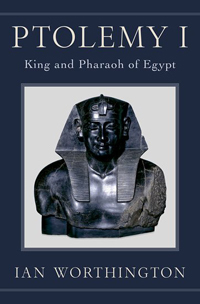 This monograph study on Philip II is published by the prestigious Yale University Press in a rich and winning editorial format; the numerous black-and-white photographs displayed in the 16 Tables at the heart of the volume definitely add to the richness of the book. The Table of Contents is followed by a series of useful instruments: 6 clear and detailed maps, the precise chronology of the main events of Philip's life and reign, and a list of quotations and abbreviations. 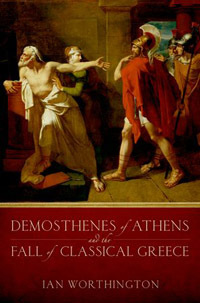 The volume comprises 16 chronologically arranged chapters which follow the life of Philip, from his birth in 383 or 382 BC, to his murder in 336 BC; they display several, albeit unnumbered, subsections with intriguing titles, and have a well-balanced structure which grants full informativity even in out-of-sequence reading order. The study concludes with six Appendices, devoted to key historical/historiographical issues in today's criticism. To be honest, the only dissonance in the book's well-devised architecture is the presence of end-volume notes before the Select Bibliography (rather than footnotes), which is certainly publisher-friendly, yet frankly reader-unfriendly. About the Select Bibliography in particular, Worthington unluckily embraces the unfair, yet by now common, practice among Anglophone authors of omitting works written in languages different from English, regardless of their intrinsic value; indeed, with no apparent embarassment he informs that cited modern works are "mostly in English" (5). Furthermore, before the Select Bibliography Worthington presents a bibliographic essay, explicitly devoted to modern books (not articles) about Macedonia and Philip II: even in this case, his attention is limited to works in English, among which he discusses the most recent four (George Cawkwell: Philip of Macedon, London / Boston 1978; Guy Thompson Griffith: A History of Macedonia, II, Oxford 1979, 203-698; John R. Ellis: Philip II and Macedonian Imperialism, London 1986; Nicholas G. L. Hammond: Philip of Macedon, London 1994); finally, only a passing mention is granted to the masterpiece by Arnaldo Momigliano (Filippo il Macedone, Firenze 1934) which still provides a historically highly qualified portrait of the Macedonian king. 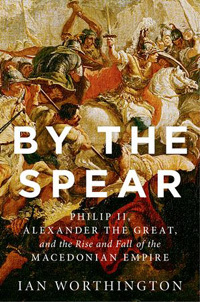 As for the contents of the volume, Worthington authoritatively examines and clearly presents the strategy by which, in two decades, Philip II managed to transform Macedonia from a peripheral and secondary entity to a hegemonic power in the Greek world. In particular, in Chapters 2-8, the Author retraces the first 13 years in Philip's reign until the signing of the peace of Philocrates and the end of the Third Sacred War. Remarkably, at the outset, the king's main aim was "to protect Macedonia's borders from enemy incursion, to unite the kingdom, to stimulate the economy and to neutralise, by diplomacy or other means, foreign powers that had previously interfered in Macedonian politics" (61). Later, however, the king got involved into Greek politics so cleverly and successfully that in 346 "Philip was inextricably part of central and southern Greek politics - and we should note that he had achieved this more by diplomacy than by warfare with the major powers" (104). In Chapters 9-13 Worthington delves into the last years of Philip's reign, until the summer of 336 when he was murdered in the theatre of Aegae during the wedding celebrations for his daughter Cleopatra and the King of Epirus, Alexander I Molossian. In this span of time, Philip became "Master of Greece", and prepared to reach Asia and defeat the Persian empire. According to Worthington, in the summer of 338, at Chaeronea, Philip sealed a great victory that "changed Greece for ever" and "made Philip master of a Greece that used to be composed of autonomous states. [...] It now became part of the Macedonian empire, and subject to Macedonian hegemony" (151). Shortly afterwards, between winter 338 and spring 337, Philip "announced his intention of establishing a Common Peace among the Greeks" (158) and "presented his next (and, as it turned out, final) grand plan: a panhellenic war of liberation and revenge against the Persians" (160). According to Worthington, "since the wealth of Persia was legendary, Philip's major reason for the invasion may therefore have been to generate extra-revenue" (169). 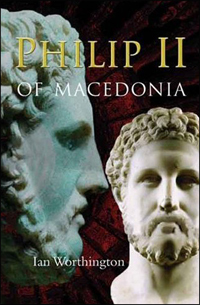 Finally, in Chapters 13-16, Worthington considers the post-Philip age, reflecting in particular upon the legacy of Philip to his son Alexander, with whom he had often clashed in the final years of his life: according to the Author, "there is no question that Philip was one of the greatest Macedonian kings and that he deserves to live beyond the shadow of his more famous son. Perhaps he also deserves for history to know him as 'the Great', for he was indeed the king behind Alexander the Great's achievements" (203). The six final Appendices are also particularly noteworthy. Here Worthington keenly discusses some of the main questions connected to the historical figure of Philip II. Among these and first of all, the issue of the Vergina Royal Tombs and the identification of the corpses found in Tomb II: on completing an exhaustive analysis of the status quaestionis, Worthington states that "the pendulum [...] swings thankfully back towards Philip II being the occupant of the main chamber of Tomb II and one of his wives [....] being the occupant of the antechamber, and perhaps this controversial issue may now laid to rest" (241). 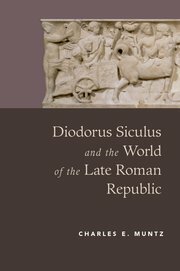 In conclusion, this rich and thought-provoking monograph is an excellent and stimulating work, constitutes a point of reference for studies on the Greek world of the IV century BC, and, I find, provides readers with the appropriate instruments to tackle the complex issue of Philip II's biography. Ian Worthington has certainly reached his aim, as proposed in the 'preamble' of the volume: "to show that he (= Philip) was a great historical figure, to bring him out of the shadow of his more famous son and to demostrate the importance of his reign in Greek history" (5). So much so, one cannot but regret the "omission" of several contributions whose sole guilt is not being in English.